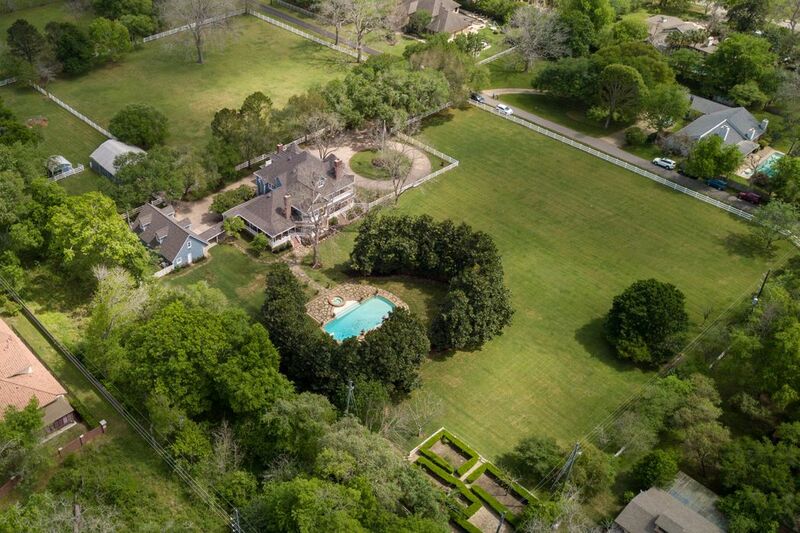 5409 Meadow Road, Sugar Land, TX 77479 | Martha Turner Sotheby's International Realty, Inc.
With graceful, spreading shade trees gracing your entrance, the multiple Legacy Oak trees in this property greet you upon entry. 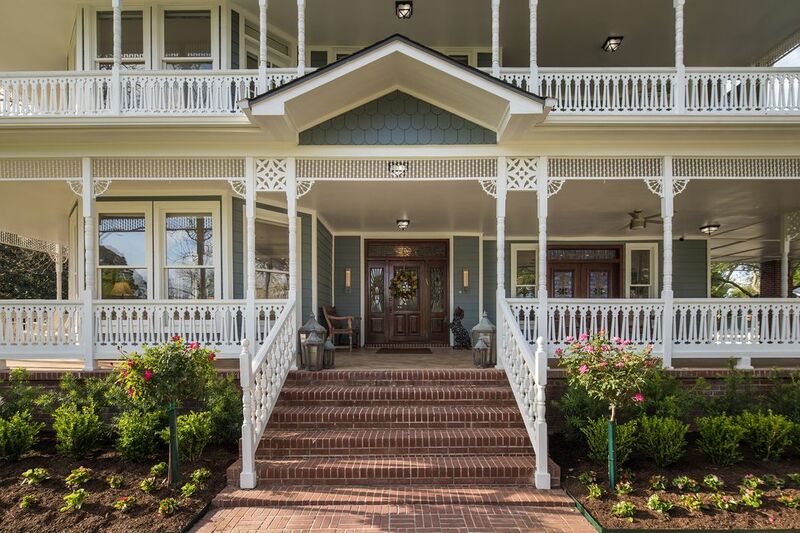 The stunning symmetry of the front elevation offers a grace to the home. The notion of comfort prevails, as wrap-around porches extend both main and second floor living areas. 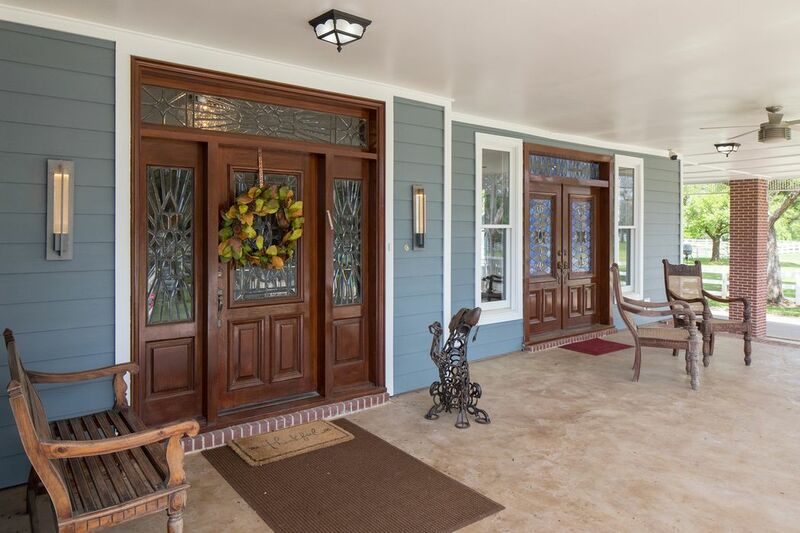 Enjoy sitting out on this large covered porch with dual updated lighting flanking either side of the mahogany entry door. 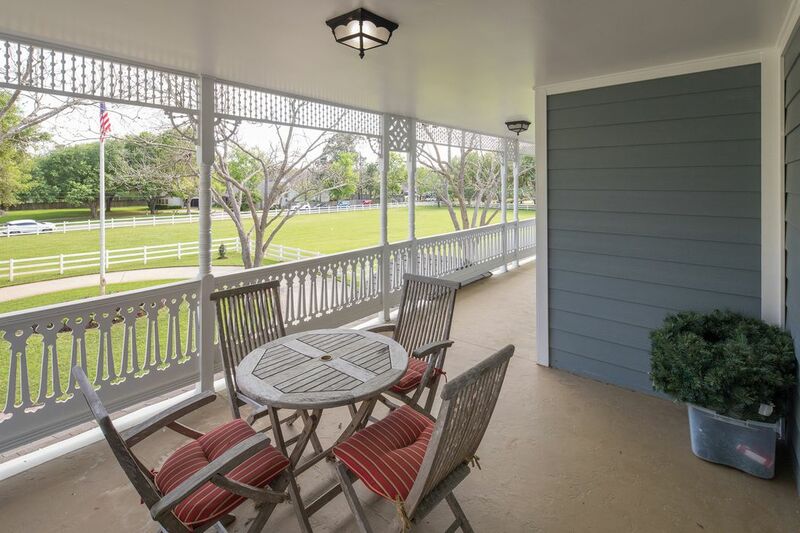 The exterior offers distinct proportions, relaxed porches for true Southern flavor. 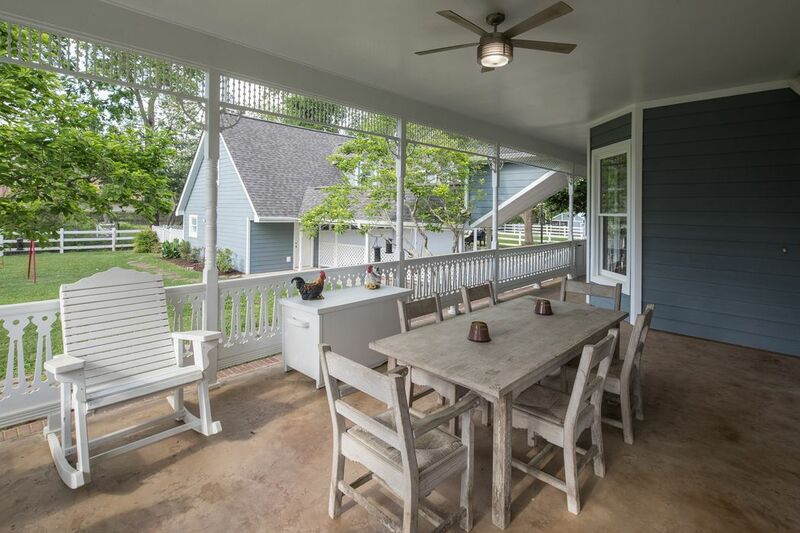 The space of each porch offers an environment perfect for outdoor entertaining or relaxation. 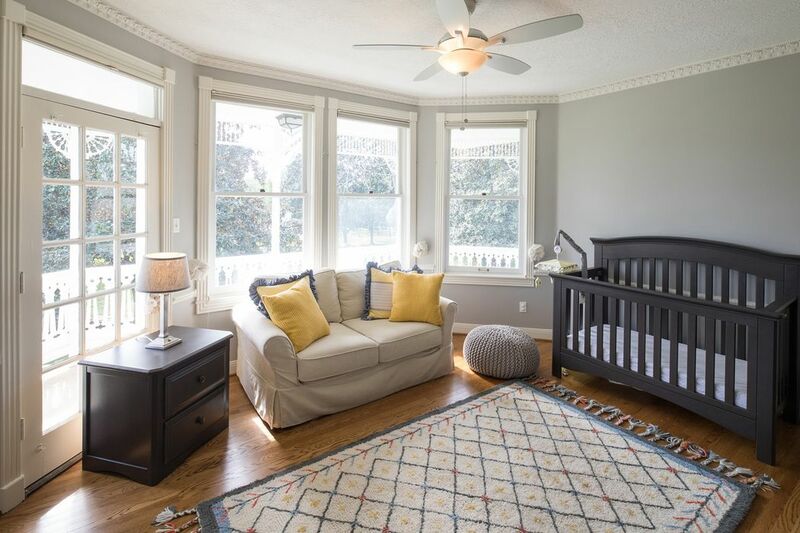 This gorgeous room features beautiful 2 1/4'' hardwood floors, custom built-in cabinetry, a wood-burning fireplace, double crown moldings, and recessed LED lighting. Another view of the 19' x 15' great room that shows the privacy and open concept floor plan and the abundant natural light that fills the space coming from the wall of windows. 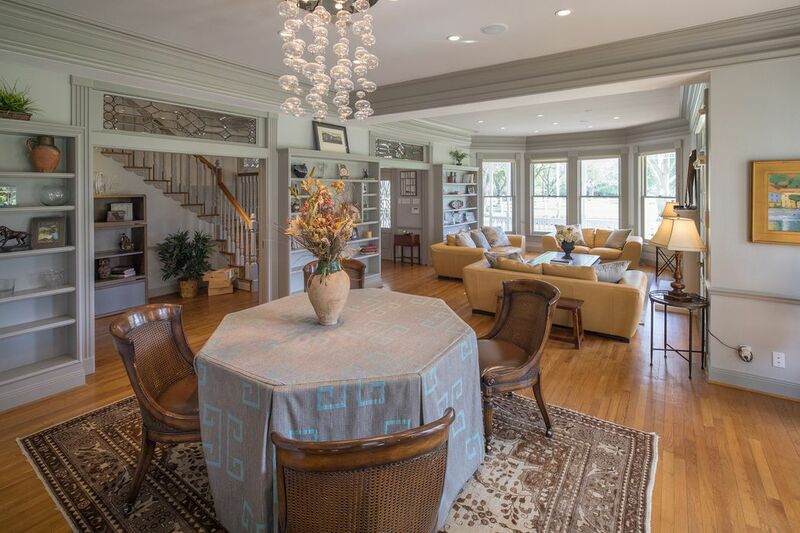 The open concept living embraces entertaining, as well as, everyday routines. The 10' ceilings and Victorian architecture continue here. 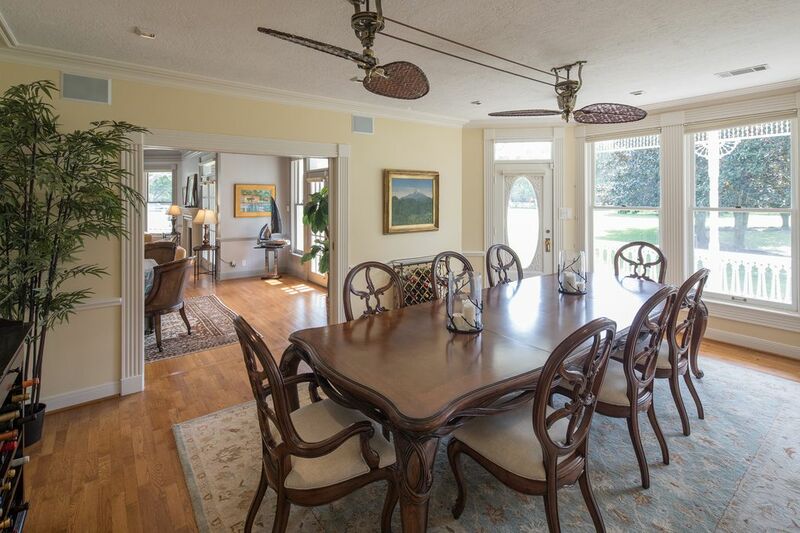 The graciously sized formal dining room features a door that leads towards the pantry making dinner parties a breeze. The door pictured here allows access to the wrap-around outdoor terrace should one prefer eating outdoors. Measuring 13' x 12', this den offers a wood-burning fireplace which adds a sense of luxury and invites relaxation. 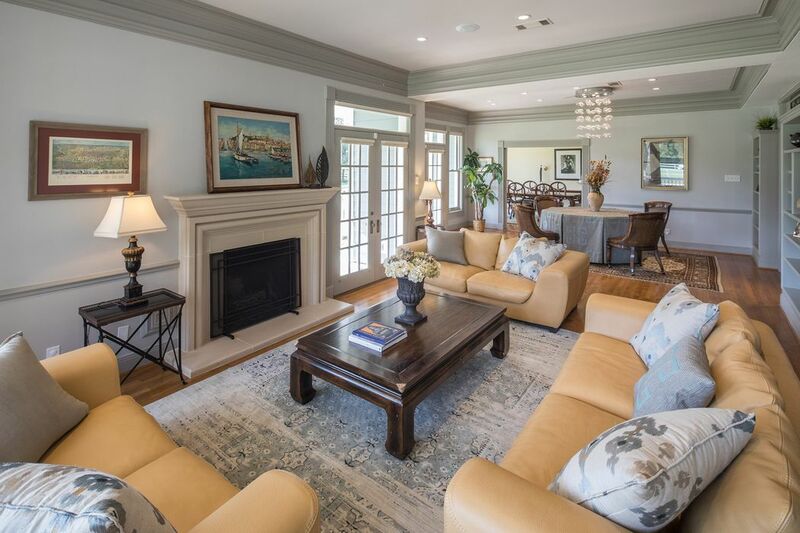 Old world charm meets sleek up-to-date sophistication in this extraordinary residence. 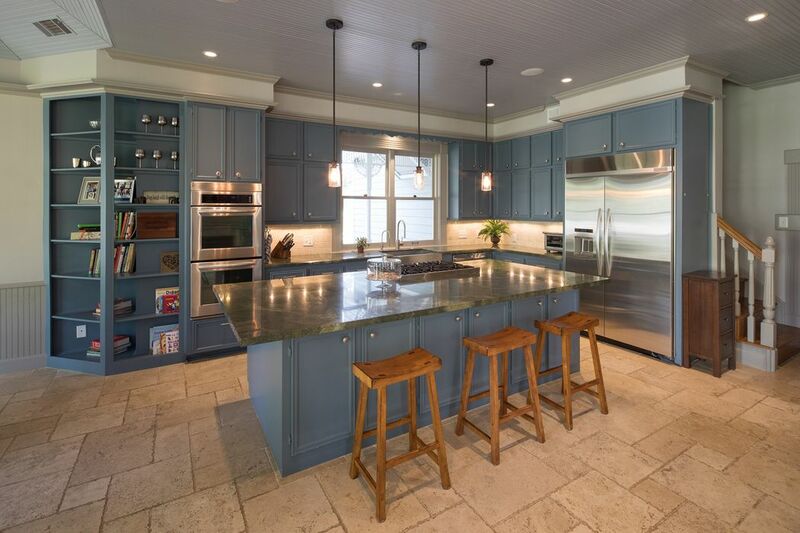 Overlooking the Legacy Oak tree, the updated kitchen features flawless custom cabinetry with on trend custom paint, soft close cabinets, granite countertops, and limestone flooring. 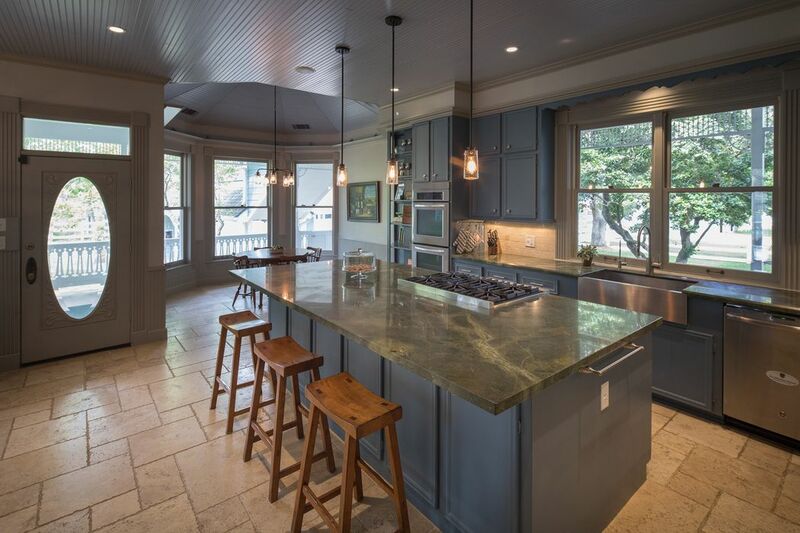 Measuring 19' x 13' this view of the kitchen shows the vast counter-space and extensive island centering the room. Also included is a 44'' KitchenAid stainless steel refrigerator and a stainless-steel farmer sink with gooseneck faucet. Designed for functionality is the adjacent 13' x 12' family room. 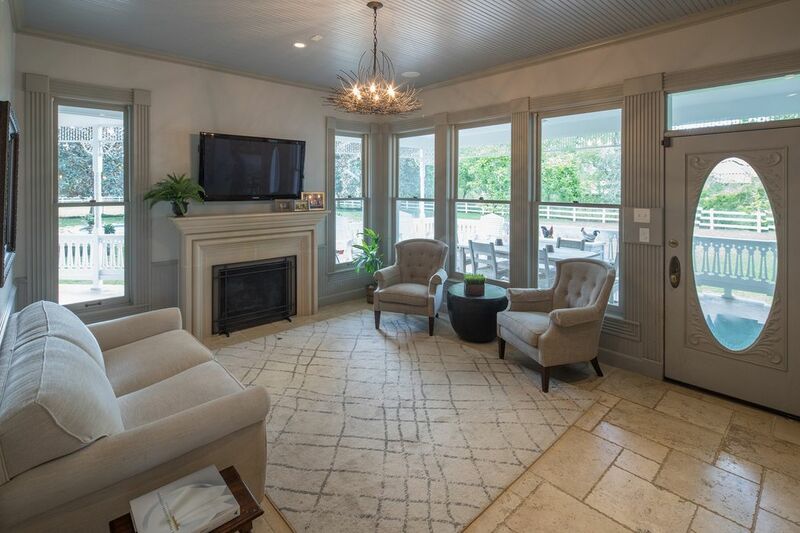 The cast stone fireplace centers the room and just outside the door is the picture-perfect spot for al fresco dining. 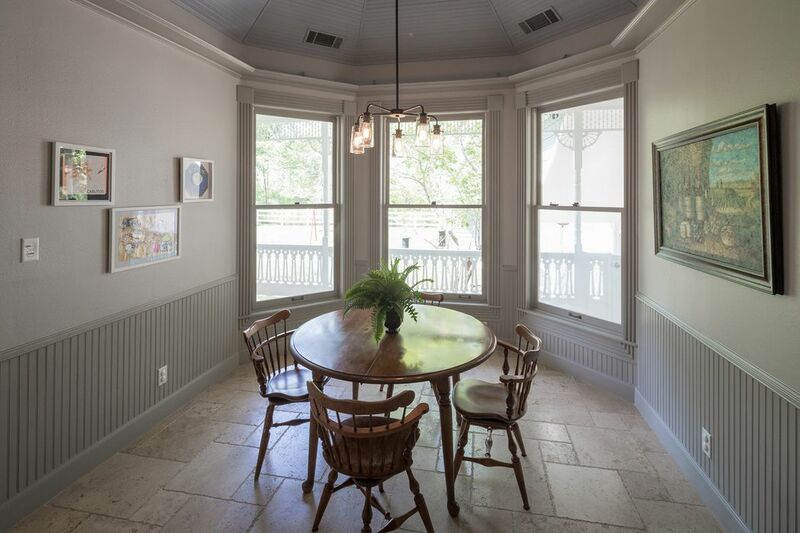 The 11' x 8' breakfast room offers a scenic view and a great space to host a gathering. The parachute ceiling adds a classic aesthetic and provide timeless elegance. 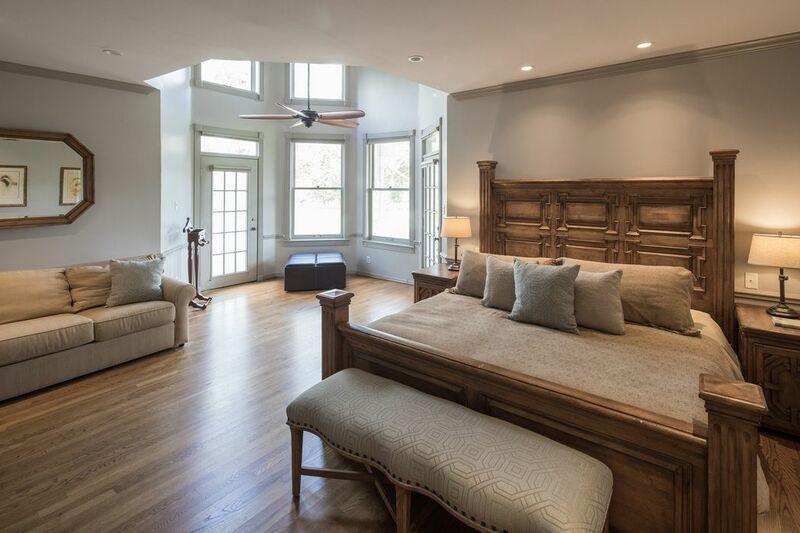 The expansive master suite features soaring ceilings, LED lighting, gleaming 2 1/2'' hardwood floors, abundant natural light, and designated seating area. The two doors allow exit to 2 outdoor terraces for fresh outdoor air. 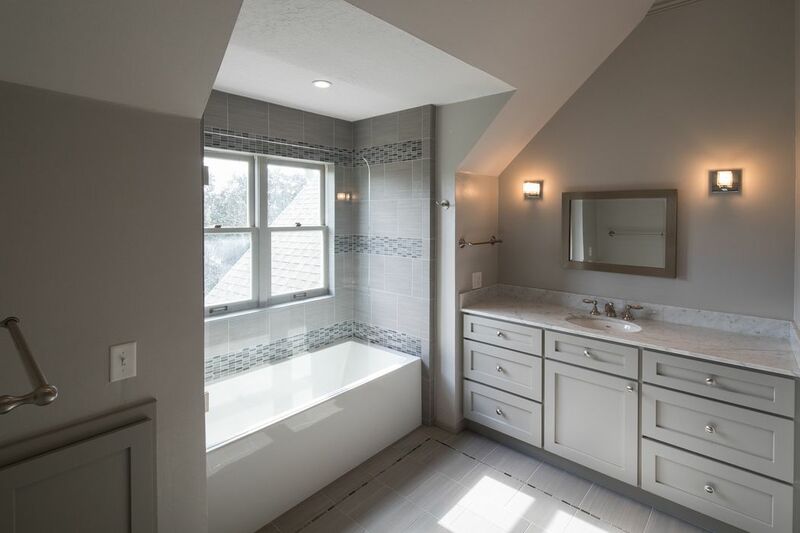 The master bathroom features bright t floors, dual sinks, custom cabinetry, with an oversized seamless shower measuring 5' x 3'. 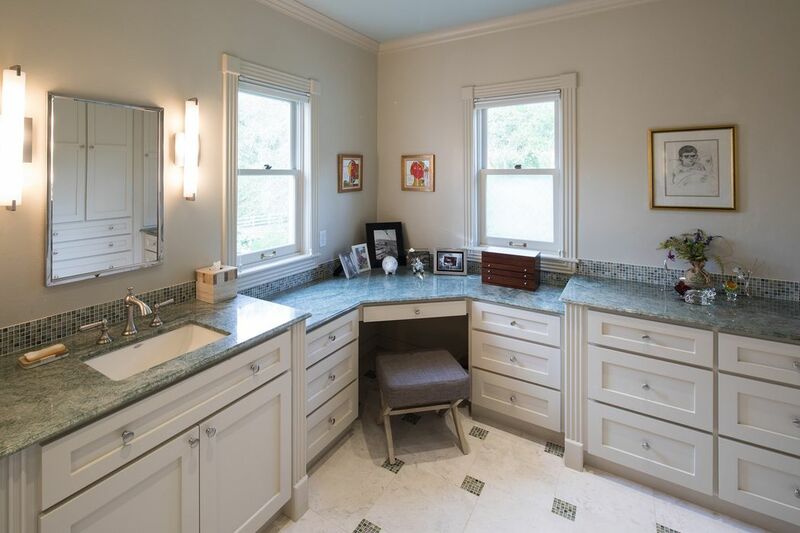 With custom shelving and ample organization, this vanity is a perfect area for natural light. Not pictured are 2 closets both measuring 7' x 6' and featuring custom hanging rods. 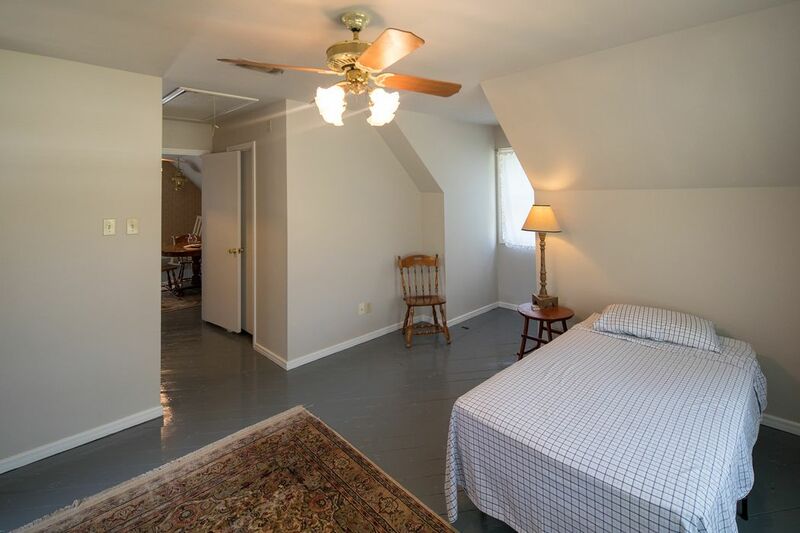 This secondary bedroom on the second floor is large and can accommodate an assortment of purposes. 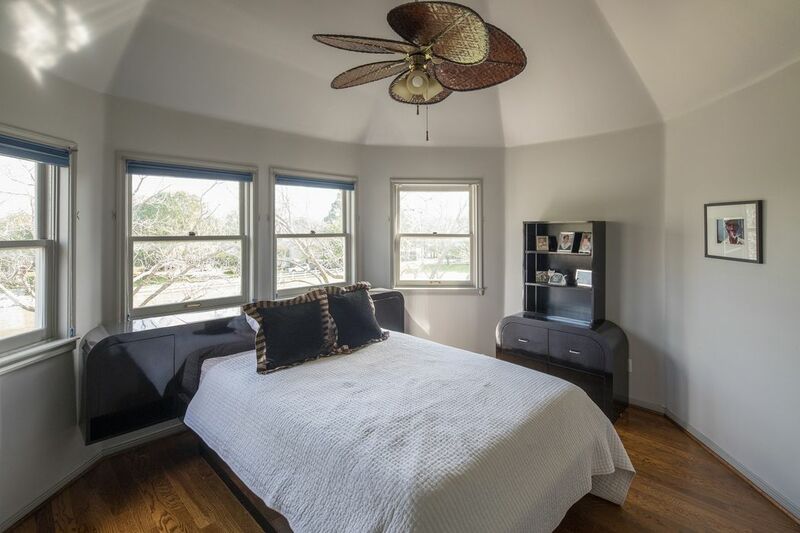 Each bedroom in the home feature a lockable door with outdoor terrace access. 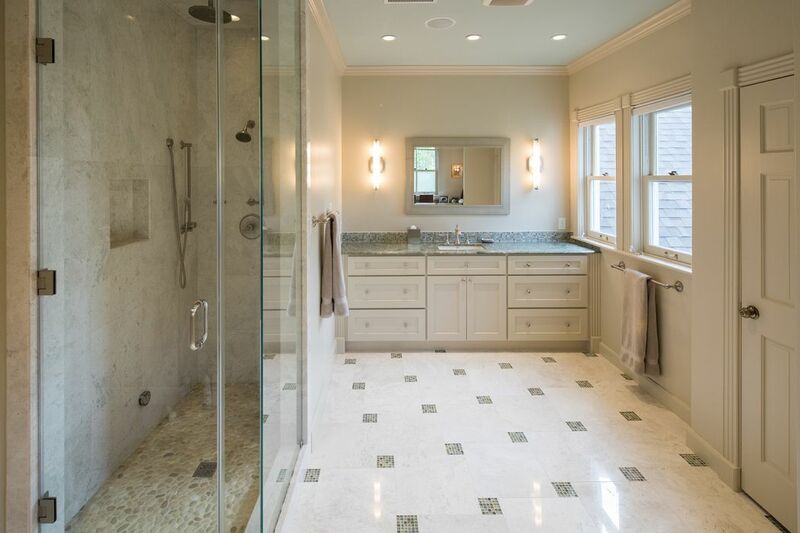 One of several updated stylish bathrooms boasts custom flooring, Kohler commode and marble countertops. 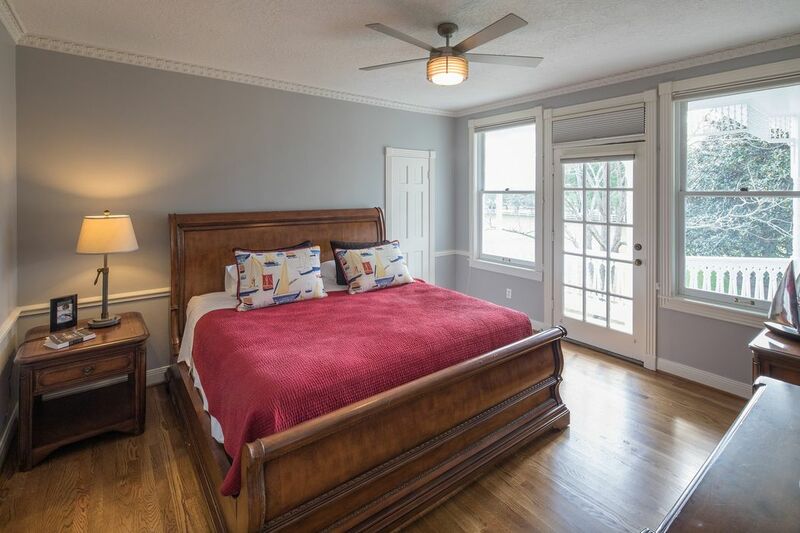 This third-floor secondary bedroom offers a high level of comfort and style with gleaming hardwoods and lovely views of the tree-lined estate. The 3rd floor en suite bath features added custom cabinetry, stylish hardware, Carrara countertops and unique light fixtures. 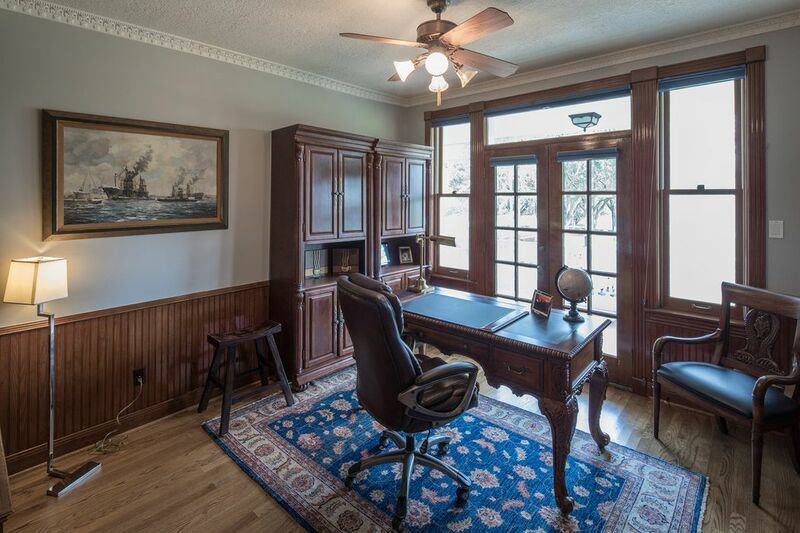 Featuring views of the tree-lined property and with dental custom moldings, trim, and millwork, this is perfect for traditional office space, or could be used as a 6th bedroom. 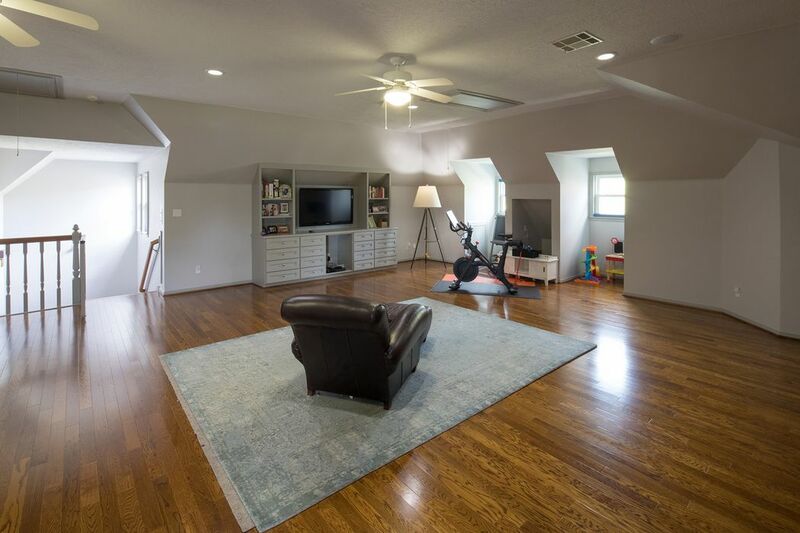 An expansive third floor flex room features a soaring ceiling, large walk-in storage closets and custom built-in entertainment center. 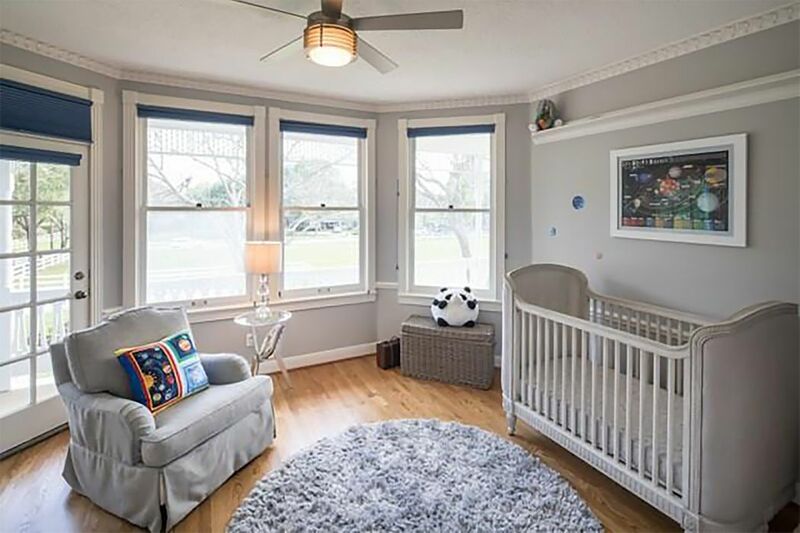 This flex room can be utilized as a game room, home gym, theatre, play space or craft room. 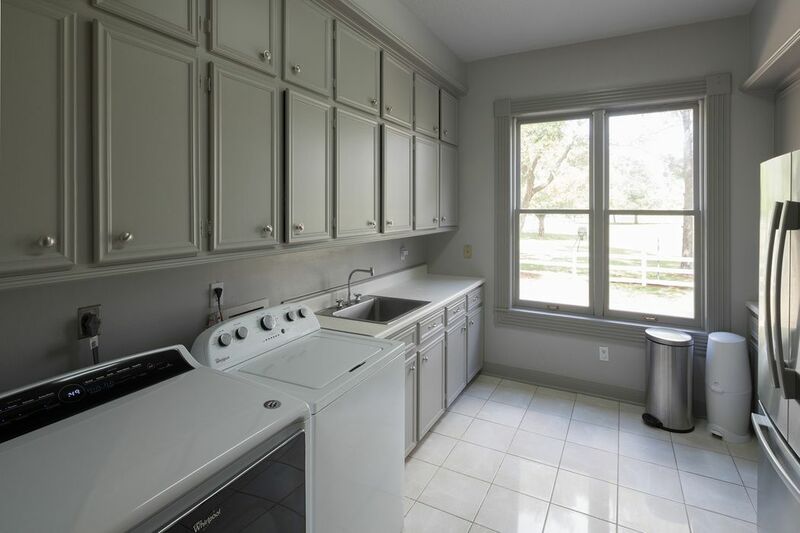 This spacious 1st floor laundry room offers plenty of room for functionality with a utility sink, abundant cabinetry and a large closet. 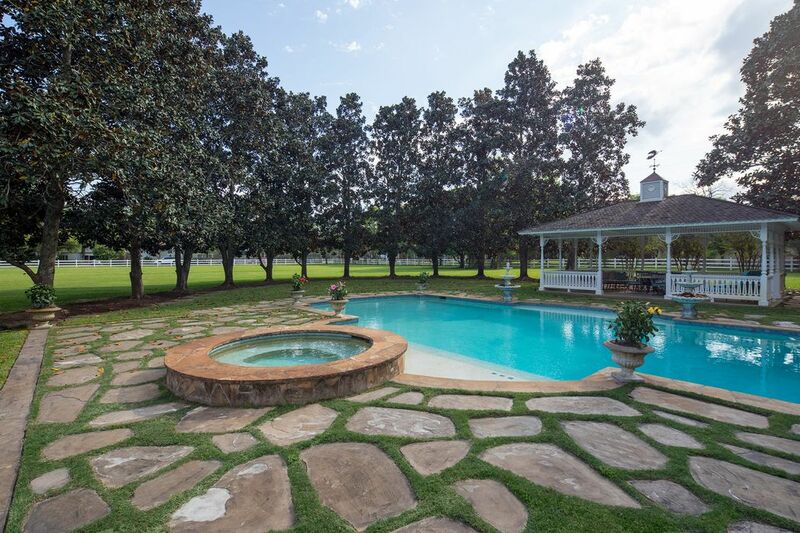 5409 Meadow features over a dozen Magnolia trees surrounding the pool that were intentionally planted to create a heart shape, which can best be seen from the ariel view. The sun won’t be a problem for those who are not interested in swimming but still want to be a part of the party. 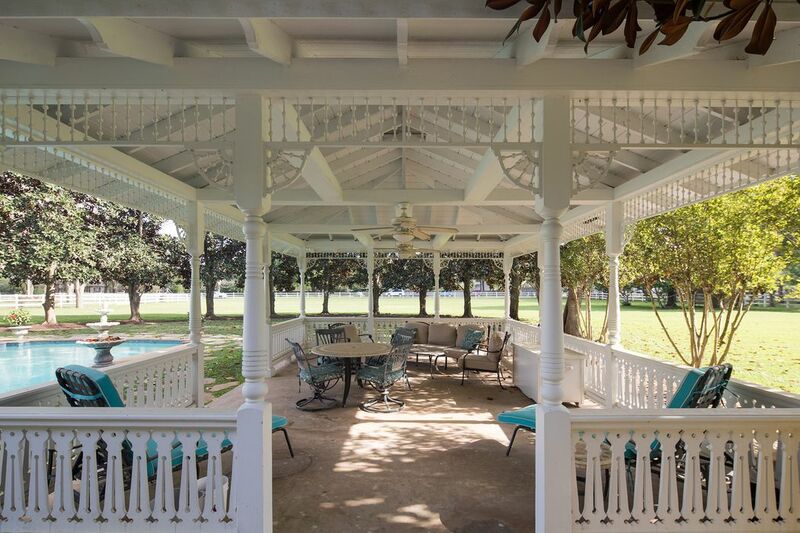 The shaded gazebo next to a pool is a seamless place to host parties. This spacious 4-sided wooden gazebo is perfect for creating shade for entertaining and those family gatherings in the summertime. This gazebo will provide an ideal shelter for your adjacent BBQ area. If you yearn for the delicate blend of creative color and flowing forms, this quaint English garden features numerous plants and flowers. 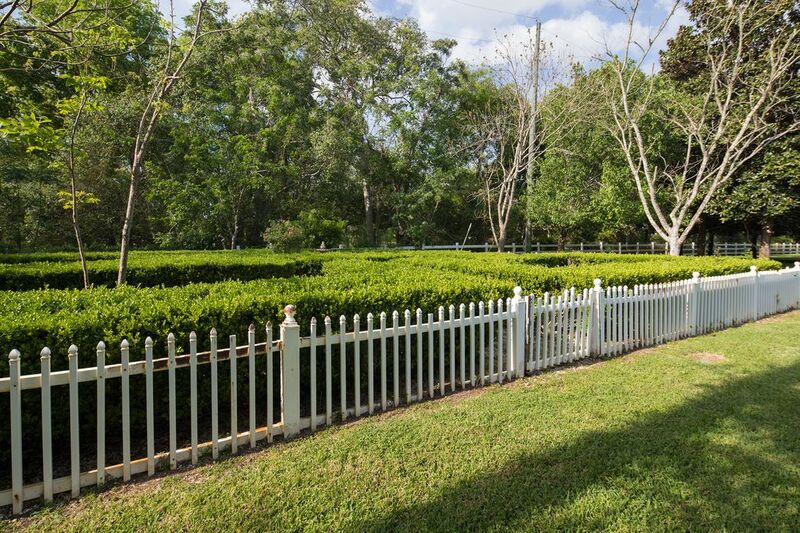 The home boasts an extra wide driveway with a four-car garage and gated access to the side yard. 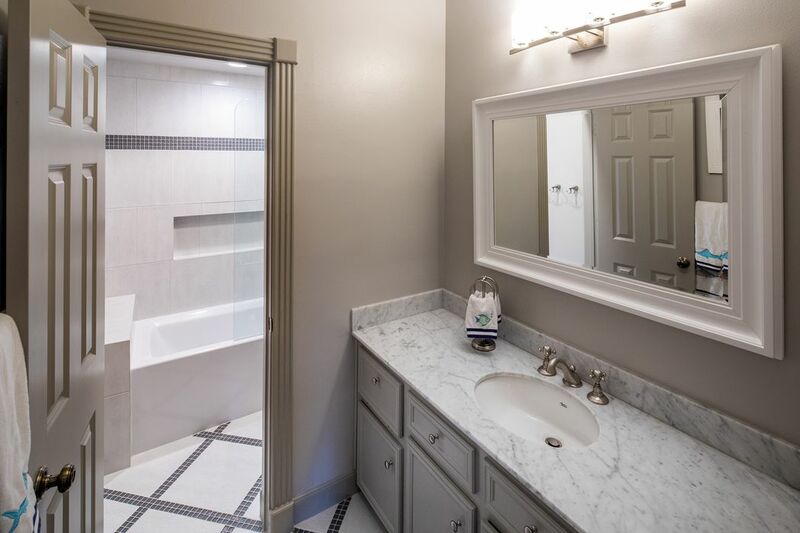 Inside the garage is an additional utility room and full bath. 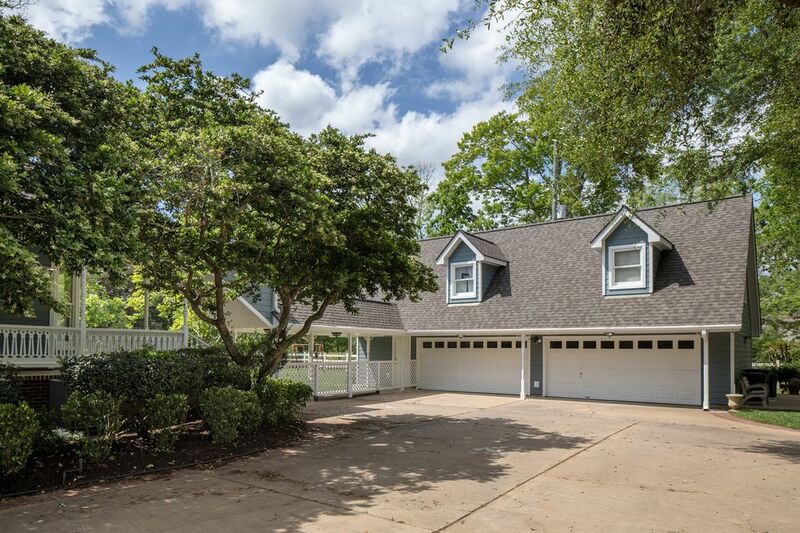 Perched above the garage, this estate features a additional quarters with full kitchen, living room and bath. 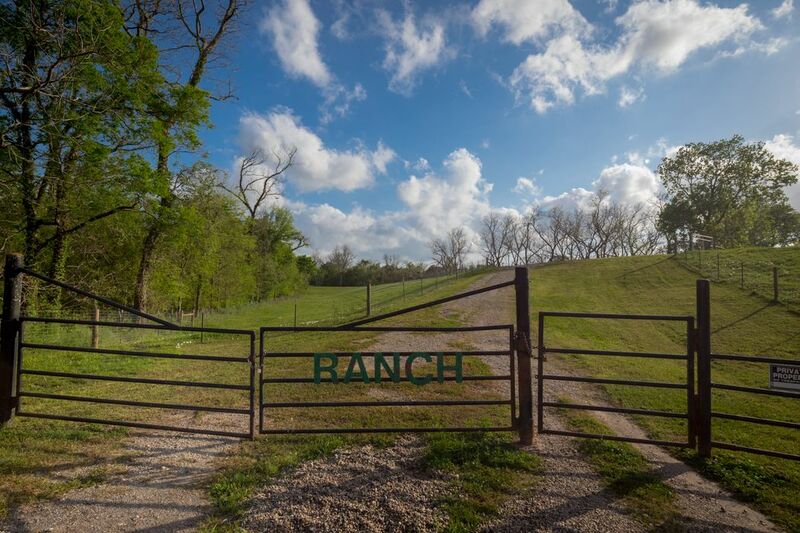 Enjoy the peace and quiet of country life on the 50+acre ranch restricted to owners in Pecan Manor, just a few blocks away from 5409 Meadow. 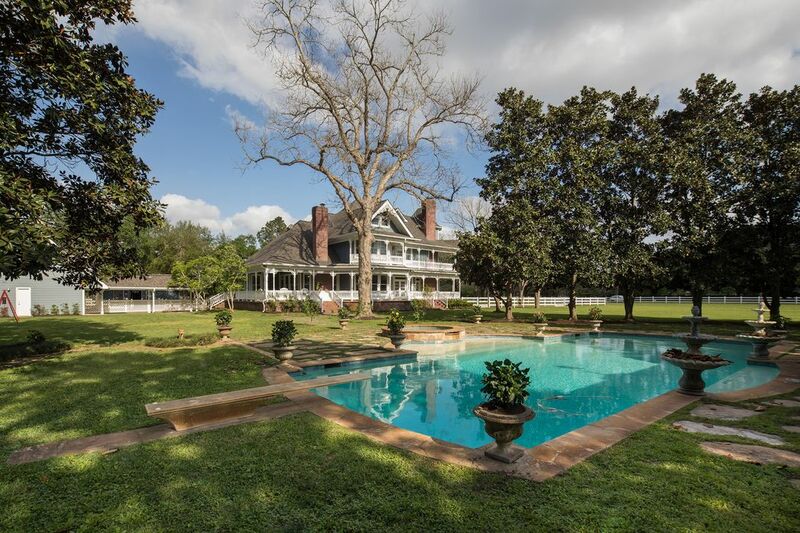 Pecan Manor is home to deer, and abundant wildlife. 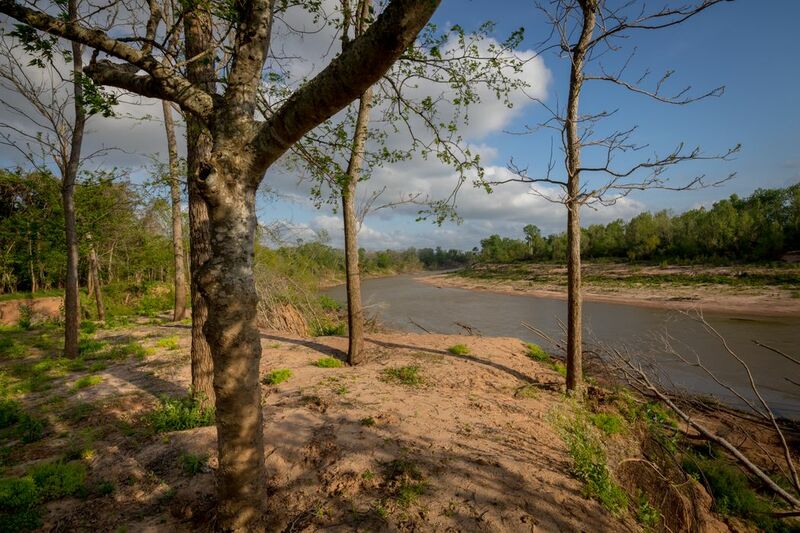 With a minimal voluntary HOA fee, you are able to take advantage of fishing in The Brazos River, hiking and camping opportunities. 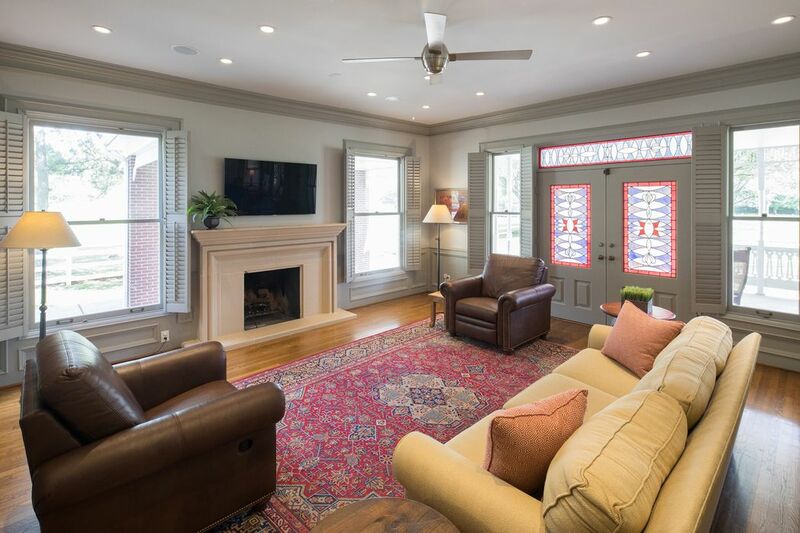 $1,695,000 5 Bedrooms6 Full / 3 Partial Baths6,708 sq. ft. 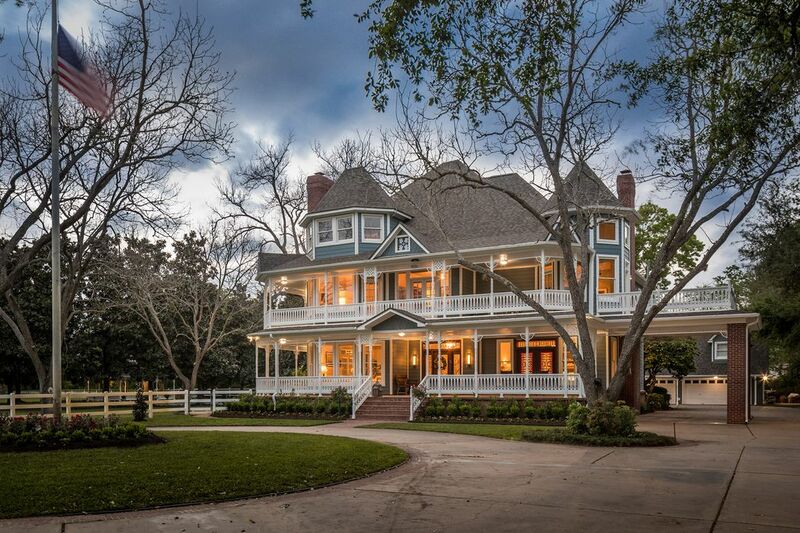 Majestic Queen Anne Victorian-style estate sits on approx. 3.0268-ac. 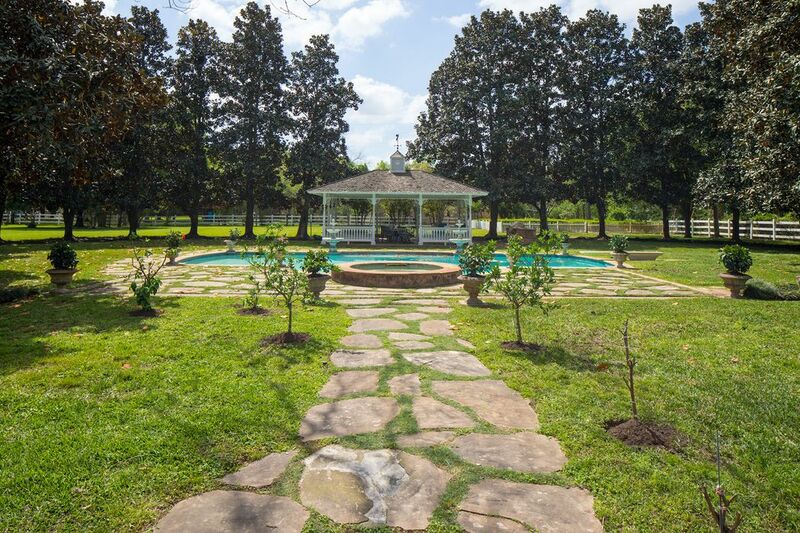 of land, complete with a custom pool, English garden, spacious gazebo, and 4-car garage, with quarters above. 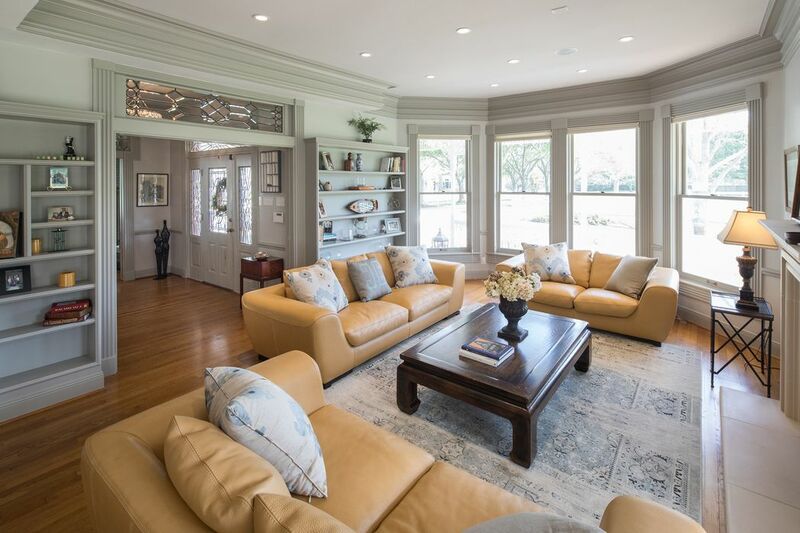 This one-of-a-kind, 3-story home, features wrap-around porches on both the first and second floors, an abundance of windows, some with stained or beveled glass and a porte-cochere with side entrance to the home. 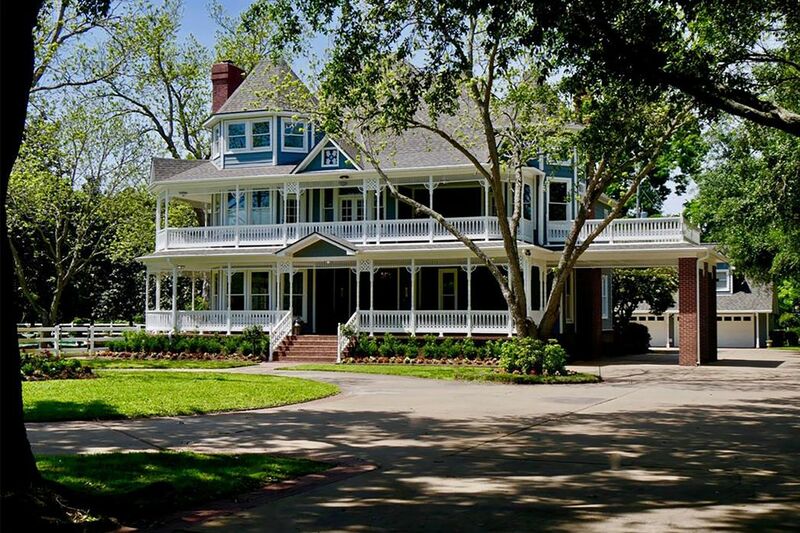 An exceptional home that reflects expert craftsmanship with attention to period detail, but, with today's best innovations. Modern cook's kitchen with a Viking 6-burner gas cooktop, fresh baths, recent roof, water filtration system, 14-zone sprinkler system, 9 security cameras with night vision and a wireless home entertainment system with 9 zones of speakers. One horse per acre is allowed. House did not flood during Harvey. 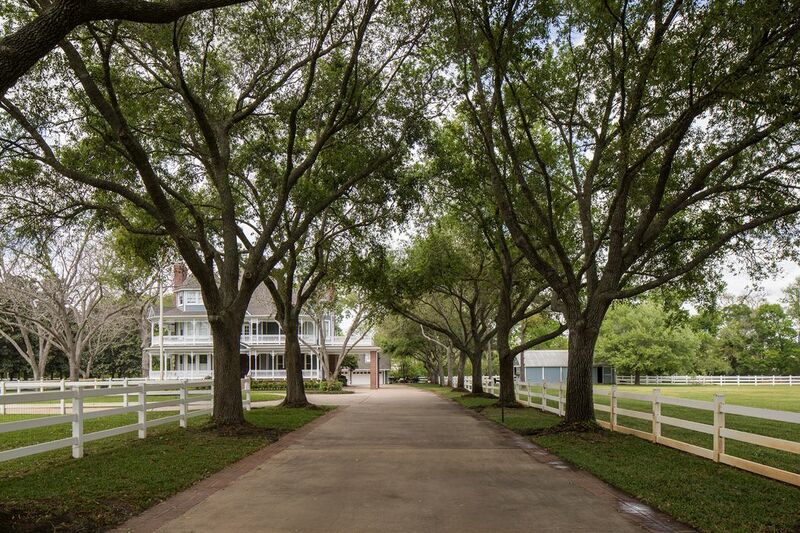 Homeowners may use nearby 50+acre ranch with one-time, voluntary, HOA fee.